Grit your teeth every time you get an appointment reminder? Your new dentist is on this list. Just in time to remind you to schedule another checkup, our annual Top Dentists survey is back. 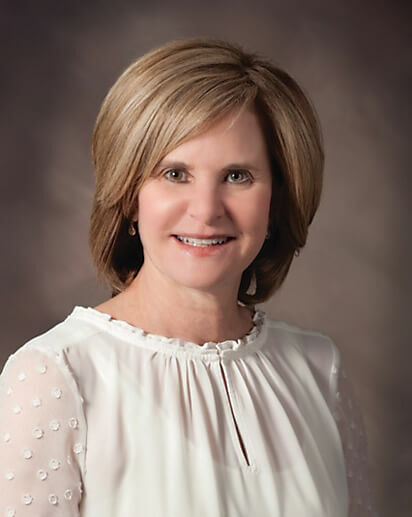 Now in its sixth year, our list of 150 winners reflects the dentists who their peers—that is, other dentists in the metro area—think are the best in each of eight specialties. And to complement the survey results, we take you into the future of dentistry with a look at the advances in the field that are still in the lab but tantalizingly close to reality. HOW WE DID IT: We surveyed more than 2,000 dentists in Baltimore and the five surrounding counties over the course of several months. Assisting us was our adviser, Dr. Joanne Block Rief. Winning dentists needed to be accepting new patients. An asterisk denotes the dentist receiving the most number of peer recommendations in his or her specialty. 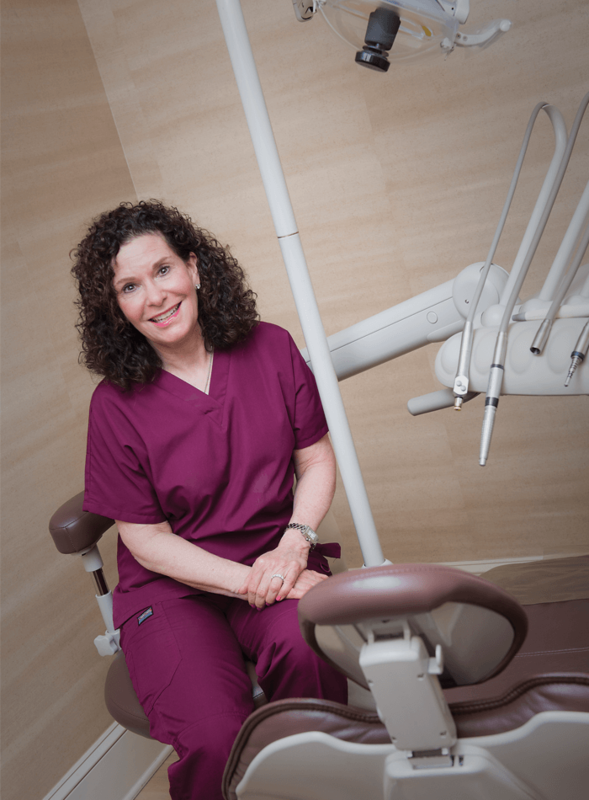 Our adviser for the 2015 Top Dentists survey was Dr. Joanne Block Rief, a frequent past winner of the Top Dentists peer survey. (Advisers are not allowed to be on the list in the year they serve.) Before graduating from the University of Maryland School of Dentistry in 1986 with a D.D.S. degree, Dr. Block Rief received her B.S. in dental hygiene. 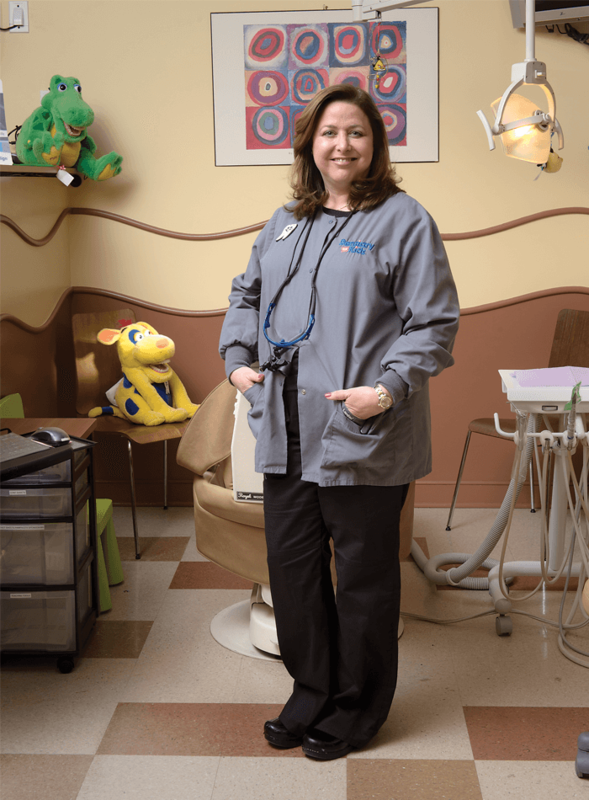 She started in the dental field at the age of 13, working in her father’s long-standing dental practice in Annapolis. Working her way up from assistant to hygienist, and then to dentist, she eventually bought a dental practice in Owings Mills. In addition to general dentistry, Dr. Block Rief’s practice emphasizes cosmetic dental procedures. We beam you aboard the future of dentistry. • You should replace your toothbrush every two to three months. 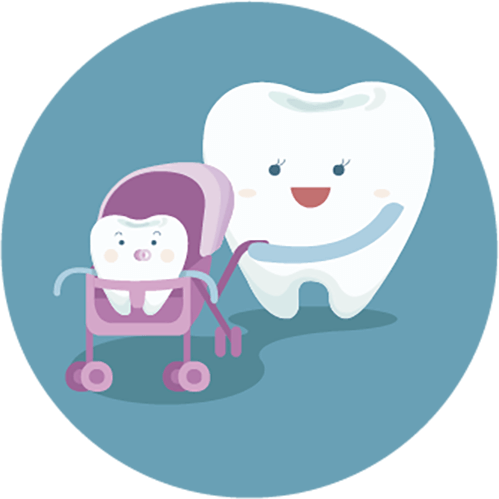 • Gum disease can lead to pre-term labor and low birth-weight. 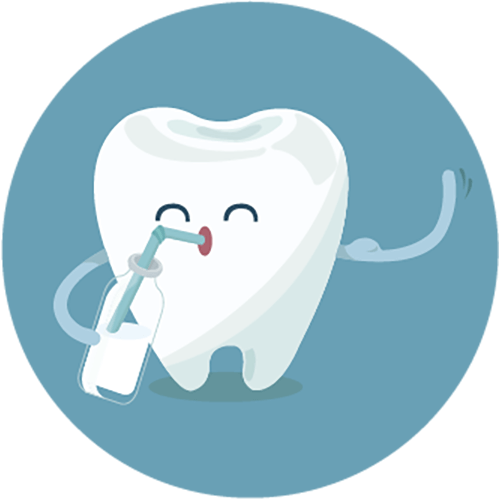 • Putting a baby to bed with a bottle of milk or juice can cause tooth decay. • Tongue and lip-piercing can damage tooth enamel and oral tissue. • Saliva is your primary defense against tooth decay. 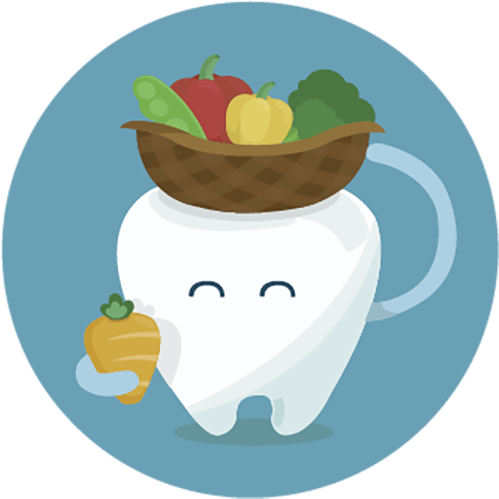 • Foods like leafy greens, almonds, cheese, and eggs may benefit dental health. For generations, everybody knew that if you needed a new crown, for instance, that meant the dentist would need to place a tray of gooey impression material into a patient’s mouth to create a mold from which the crown or other restoration could be modeled and fabricated. Then it was sent to a lab to be made, and a few weeks later, your teeth arrived in the mail—meaning another visit to the dentist to get it installed. But big change is on the horizon. In the University of Maryland School of Dentistry “Dream Room,” Dr. Gary Hack, associate professor and director of clinical simulation, uses a digital camera to photograph a simulated tooth that requires a crown restoration. Within moments, a digital model of the tooth appears on a computer screen. As Hack explains it, the digital image can be sent to a lab that can create the crown or, as he demonstrates, the restoration can be created in the dentist’s office while the patient waits, using a milling machine. As the milling station whirs away in the pristine Dream Room, crafting a crown out of a block of ceramic material about the size of a child’s Lego piece, Hack explains that this CAD/CAM technology (Computer Aided Design/Computer Aided Manufacturing) has the potential to revolutionize dentistry. “There’s a concept called ‘the singularity,’ which says that in 50 years, computers will have the ability to equal the mind of a human,” he says. “The future is now. The way we capture an impression will be digital, and computers will play a huge part in that.” With the in-office milling station, it’s possible a patient could get his or her tooth restored in one visit. The digital file can also be sent anywhere—to a specialist in another country, even—enabling greater collaboration between health-care practitioners. 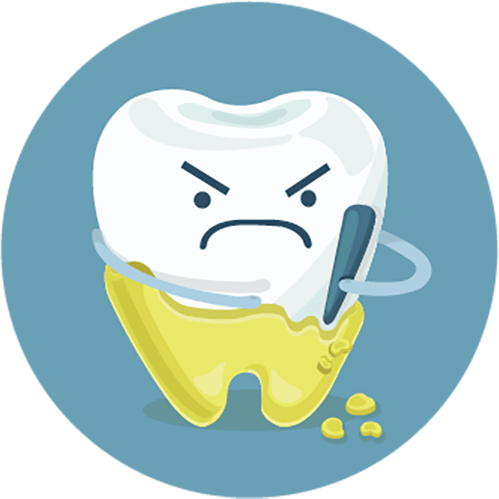 People accept that restorations get worn, old fillings fall out, and cavities need attending to regularly. 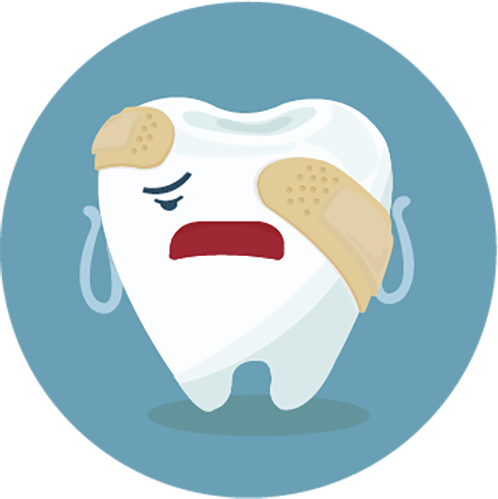 In fact, about 200 million cavity restorations are performed every year in America; between 50 and 70 percent of those are to repair old cavities. But a lot of that repetitive repair will be a thing of the past before too long. Dr. Huakun Xu, University of Maryland professor in the department of endodontics, prosthodontics, and operative dentistry and director of biomaterials and tissue engineering, is working to change that with filling materials and bonding agents that have therapeutic properties. There is a community of helpful bacteria, or biofilms, in the mouth that is largely self-regulated, he says. But genetics and lifestyle choices, like drinking a lot of soda, kill the benign bacteria in the mouth, making it more acidic and causing tooth decay. The answer? Fool the bacteria. “Hopefully, we are developing the next generation of tooth-filling material that can modify and change the composition of the bacteria in the mouth,” Xu notes. “For example, when bacteria secrete acids in the mouth, that can lower pH and cause tooth decay. We can use these materials to make the bacteria population more benign and less acidic. Also still in the lab is research to create toothpastes and mouth rinses, for example, that could put a film on the teeth so harmful bacteria can’t cling and cause tooth decay. Imagine a modern dentist’s drill in a future museum of dentistry, with visitors a century from now asking themselves, “Really? A drill?” That’s because, 100 years from now, we may be growing the new body parts we need. In the hierarchy of health care, the future promises a more important role for dentists because of something called collaborative care. That’s the idea that different specialties need to work together to treat a patient more holistically. Not only is this a better approach for the patient, it has the potential to ease financial strains on the health-care system and introduce more efficiency into patient care. Dentists are in an ideal position to take on an expanded role in preventative primary care because they’re trained to recognize genetic disorders, systemic disease, and lifestyle problems. Plus, patients often see their dentist with more regularity than they see a primary-care doctor. 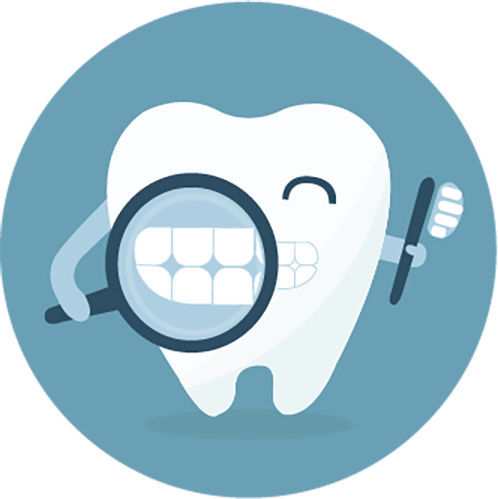 Dentists can already screen for oral cancers, substance abuse, and eating disorders, and can often spot signs of heart disease. And if and when dentists do step in as a primary health-care resource, they have a great tool at their disposal: saliva. That’s because spit contains biomarkers, the indicators of disease. 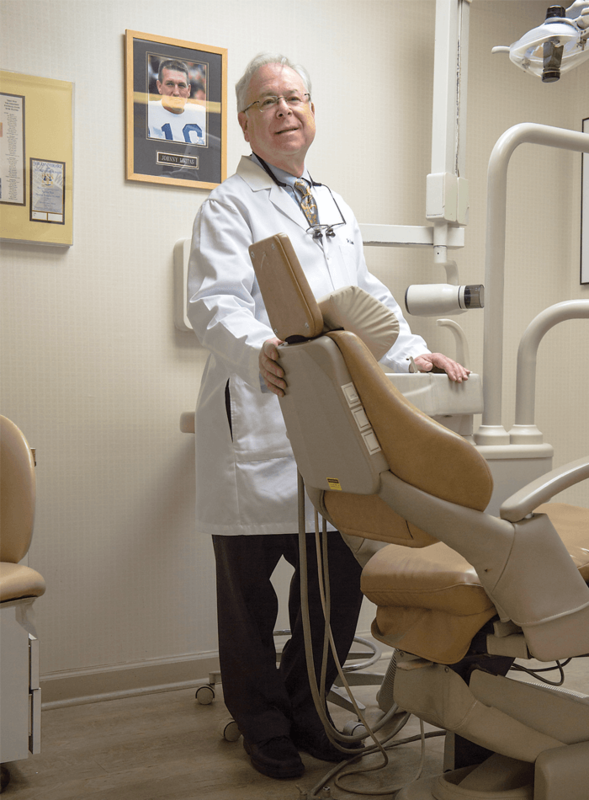 Dr. Gary Schumacher, director of administration at the American Dental Association Foundation’s Dr. Anthony Volpe Research Center based in Gaithersburg, sees the possibilities as endless. Seems like a trip to the dentist is more important than ever.